— Jackie is our #1 Book Blogger at Tattered Cover and her word is gold. 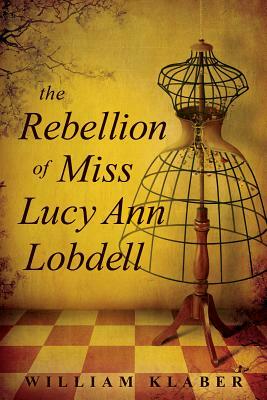 One day in 1855 Lucy Lobdell cut her hair, changed clothes, and went off to live her life as a man. By the time it was over, she was notorious. The "New York Times" thought her worthy of a lengthy obituary that began "Death of a Modern Diana . . . Dressed in Man's Clothing She Win's a Girl's Love." The obit detailed what the "Times" knew of Lucy's life, from her backwoods upbringing to the dance school she ran disguised as a man, "where she won the love of a young lady scholar." But that was just the start of the trouble; the" Times" did not know about Lucy's arrest and trial for the crime of wearing men's clothes or her jailbreak engineered by her wife, Marie Perry, to whom she had been married by an unsuspecting judge. Lucy lived at a time when women did not commonly travel unescorted, carry a rifle, sit down in bars, or have romantic liaisons with other women. Lucy did these things in a personal quest--to work and be paid, to wear what she wanted, and to love whomever she cared to. But to gain those freedoms she had to endure public scorn and wrestle with a sexual identity whose vocabulary had yet to be invented. Lucy promised to write a book about it all, and over the decades, people have searched for that account. Author William Klaber searched also until he decided that the finding would have to be by way of echoes and dreams. This book is Lucy's story, told in her words as heard and recorded by an upstream neighbor. The farmhouse he bought with his wife, Jean, in 1980 had a history with Lucy s legend, but he didn t know that till years later when he sat down for breakfast with a longtime local historian who told him Lucy s story and showed him a leather satchel filled with recollections, newspaper articles, and letters about her, gathered over the years. In this collection was a copy of a self-written account of Lucy s early life that the historian had found in an unmarked box in a library basement. Despite his continued searching, the historian never found the memoir that Lucy had promised to write. Explaining that he had always thought to write a book of his own about Lucy but no longer felt up to it, the historian then handed the satchel to the author. "